→Finding The Best Bike – What Size Bike Frame Do I Need? Do you want to try out biking? Whether it's for recreation or competition, riding a bike can be a fun and rewarding experience. The first thing you'd want is to look for the best bike for you, but with so many bikes to choose from, how do you know which one to get? Many people new to biking assume that getting a highly-recommended bike is good enough, but you need to make sure that you're riding one that "fits" you. Instead of asking what's the best-selling bike, you should be asking "What Size Bike Frame Do I Need?". If you ride two bikes of the same brand and model but with different frame sizes, you'll immediately notice the difference in terms of how they handle. The one with the right frame size will feel much more comfortable to ride. However, comfort is just one of the many benefits you can get from getting a properly-sized bike frame. A properly-sized bike will let you have better control over it and reduce the chances of slip-ups and accidents. This is very important in more technical kinds of biking, like mountain biking or trail riding. On the other hand, riding a bike with the wrong frame size can be a dangerous (and tiring) experience. Just steering with the handlebars will feel awkward or you may not have enough elbow room to make tight turns or pedal properly. This may seem like a minor bother at first, but it will be a big issue over time. To make matters worse, riding on a poorly-fitted bike can also have long-term effects on your body. Some of these include back and joint problems and muscle pain for straining to compensate for the awkward frame size. That means frame size is more important than other factors when choosing a bike. If you check out bikes for sale, you'll notice that most of them list their frame sizes as S,M,L, and even the occasional XS/L. However, it isn't a reliable factor since different bike vendors have various ways to categorize their bike frames. An S-sized frame on one brand may be an XS for another. A more reliable indicator would be showing the measurements of the seat tube and the top tube since you have exact figures to let you compare it to your body measurements. If you want more accurate estimates, short of actually trying the bike, look for the seat tube length and the top tube length. 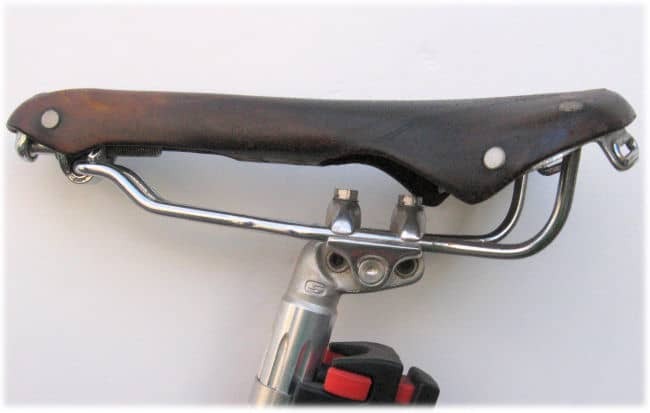 The seat tube is the vertical tube that also holds the seat. The longer the seat tube length, the "taller" your bike is. Have it too high and getting on and off the bike will be difficult. Have it too low, and you have a bike that may feel too cramped. With a proper tube length, you'll have enough room not to feel cramped, but close enough that you can steer as much as possible while keeping both hands comfortably on the handles all the time. This is vital for managing trails with sharp curves, where you need all the maneuverability you can get. 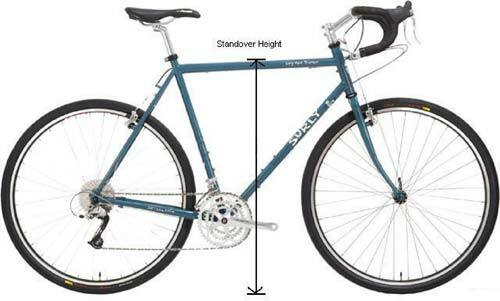 Once you determine the ideal measurements, check out the bikes size chart. Look for the right frame size that's closest to your ideal measurements. 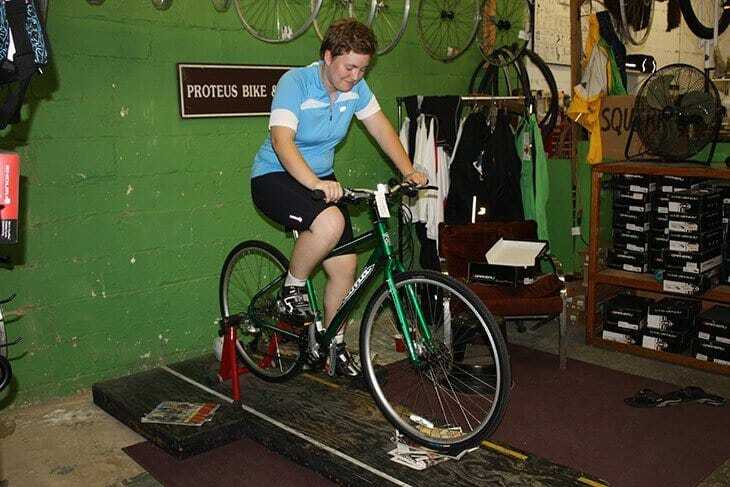 It's normal to find frame sizes that only get one measurement right; fortunately, you can compensate for it by making adjustments to the saddle. If you're still having trouble figuring out the right frame size, you can always try asking for a test ride. Try out two or three different frame sizes (the ones closest to your ideal measurements) and see which one gives you the most amount of comfort and control and make the adjustments later. Speaking of adjustments, you should always go for a slightly smaller bike frame if there's no exact fit; making adjustments for a smaller bike may require nothing more than adjusting your saddle, but a larger frame could have the lowest saddle height and still feel too big. The saddle should be broad enough to provide support but not too wide that it would cause chafing on your inner thighs. The handlebars should be comfortable and let you keep a firm grip at all times, especially when turning. The pedals should turn smoothly and grip your shoes properly without being too large or too heavy. That wraps up this post on choosing the right bike frame size. Do you already have an idea of what you should get? Feel free to let us know in the comments section!